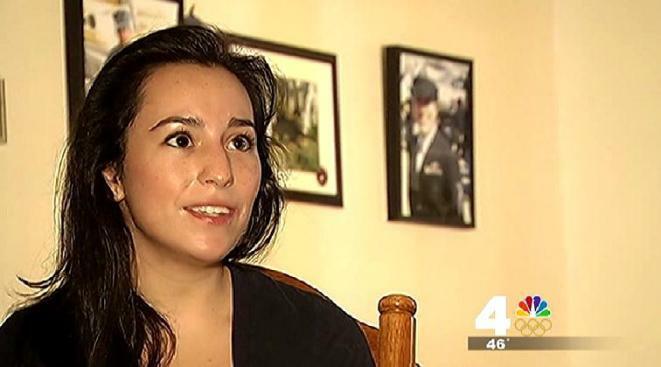 After forgetting to mention she was on medication after tooth surgery, a Maryland woman was discharged from the Navy and is now fighting to get the decision repealed. Graciela Saraiva, 23, said she served in the U.S. Navy for a couple years, receiving all positive reviews. When she returned to the U.S. to become a full-time reservist three years ago, she got a letter from the Navy saying she was being discharged -- with the status "other than honorable" -- for testing positive in a drug test. "When I made the transfer, I went to a civilian dentist, and so it was my responsibility to let them know what I was taking," Saraiva said. "It just slipped my mind, completely." She had gotten root canal surgery and was taking pain medication with codeine. After reviewing her documentation from her physician, an appeals board ruled in favor of Saraiva and simply recommended she be reprimanded for failing to disclose the pain medication. The Navy denied the appeal. Her story has gained national attention as well as a Change.org petition. She said she doesn't want the stigma of a "other than honorable" discharge to harm her future. "I plan on going to medical school, and I really want to get into surgery, and I fear that brand on my record is really going to impact where I can get a job," Saraiva said. Editor's Note: This story has been updated to correct the type of discharge to "other than honorable."